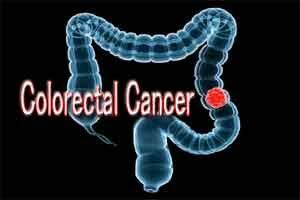 Researchers at Memorial Sloan Kettering Cancer Center in New York City and Massachusetts Institute of Technology in Boston have developed a new, three-step system that uses nuclear medicine to target and eliminates colorectal cancer. In this study with a mouse model, researchers achieved a 100-percent cure rate–without any treatment-related toxic effects. The study is reported in the November featured article in The Journal of Nuclear Medicine. Theranostics, a term derived from therapy and diagnostics, is the use of a single agent to both diagnose and treat disease. The theranostic agent first finds the cancer cells, then destroys them, leaving healthy cells unharmed–minimizing side effects and improving quality of life for patients. In this study, the glycoprotein A33 (GPA33), an antigen found on over 95 percent of primary and metastatic human colorectal cancers, was targeted with a bispecific antibody for A33 tumor antigen and a second antibody for a small-molecule radioactive hapten, a complex of lutetium-177 (177Lu) and S-2-(4-aminobenzyl)1,4,7,10-tetraazacyclododecane tetra-acetic acid (177Lu-DOTA-Bn). The DOTA-pre-targeted radioimmunotherapy (PRIT) strategy was tested in a mouse model. In randomly selected mice undergoing treatment, serial SPECT/CT imaging was used to monitor treatment response and calculate radiation-absorbed doses to tumors. All the DOTA-PRIT-treated animals tolerated the treatment well, and all 9 assessed mice had no trace of cancer remaining upon microscopic examination. There was also no detectable radiation damage to critical organs, including bone marrow and kidneys. The 100-percent cure rate in the mouse model is a promising preliminary finding that suggests that anti-GPA33-DOTA-PRIT will be a potent radioimmunotherapy regimen for GPA33-positive colorectal cancer tumors in humans. According to the Centers for Disease Control and Prevention, colorectal cancer is the third most common cancer affecting both men and women. Each year, approximately 140,000 new cases are diagnosed in the United States and 50,000 people die of the disease.